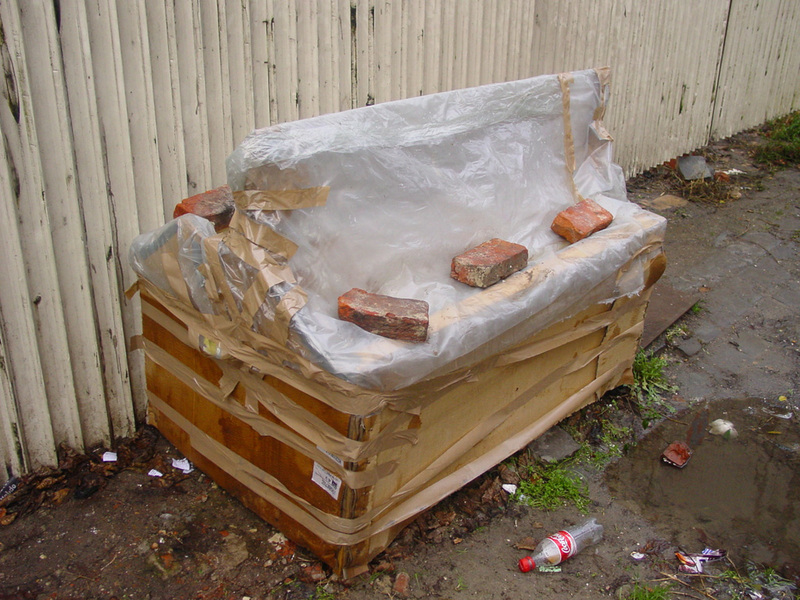 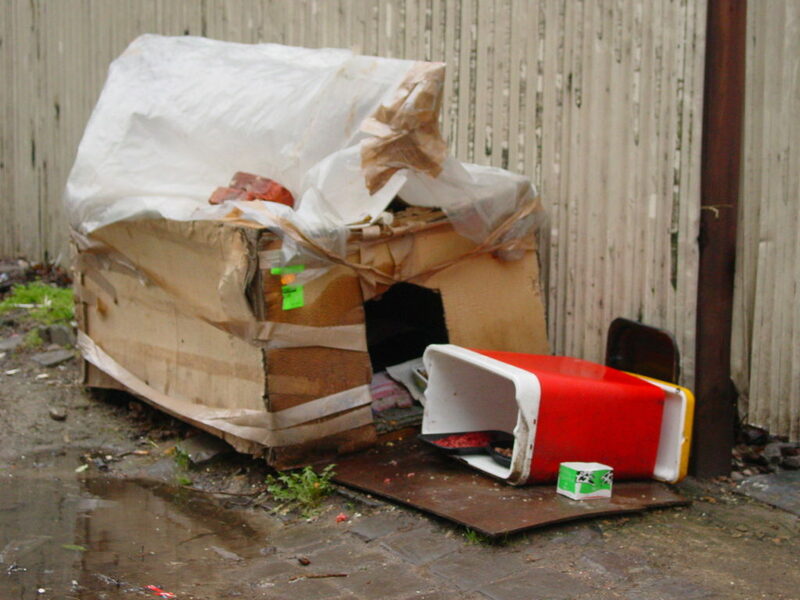 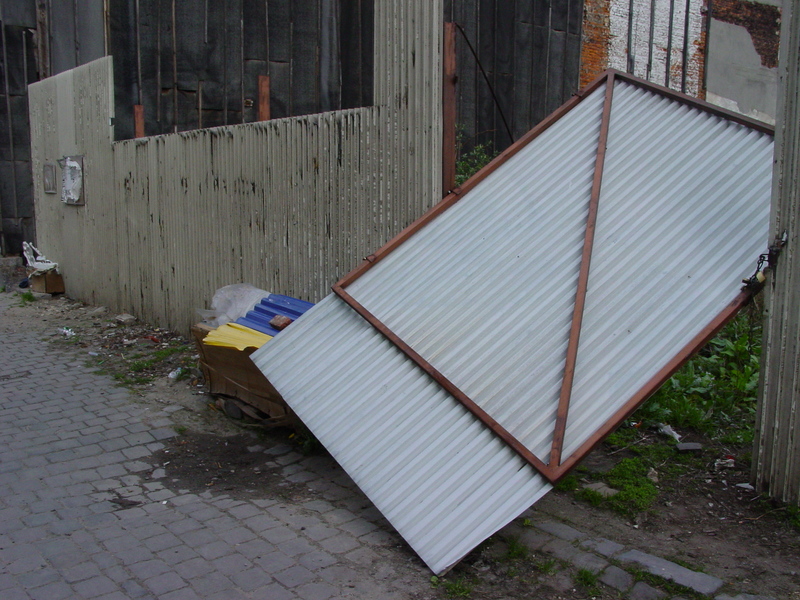 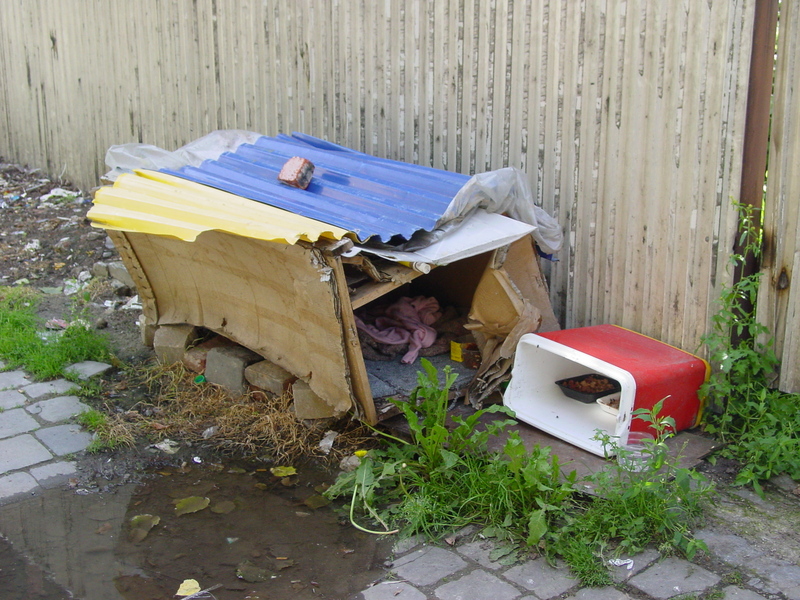 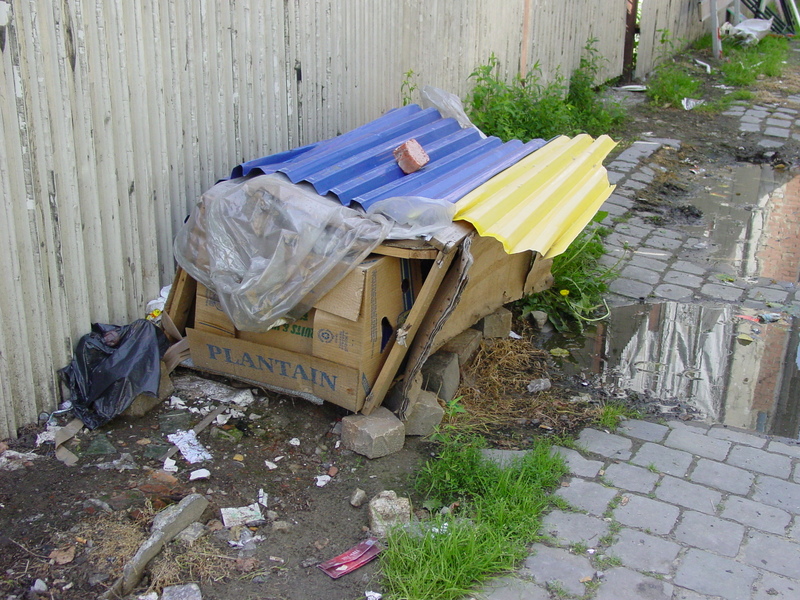 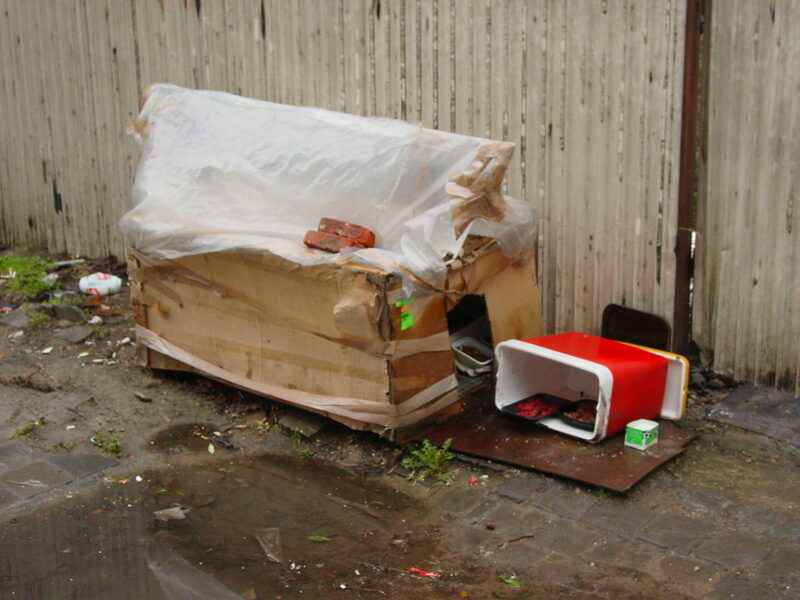 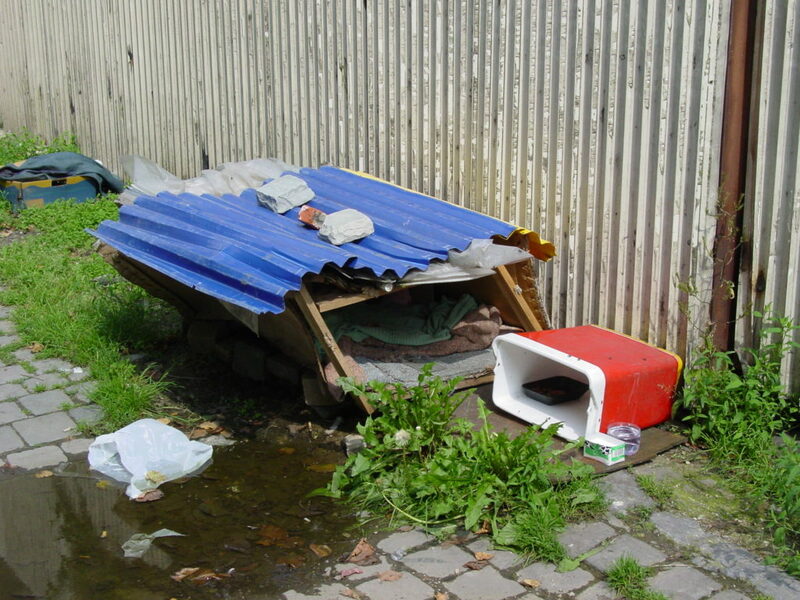 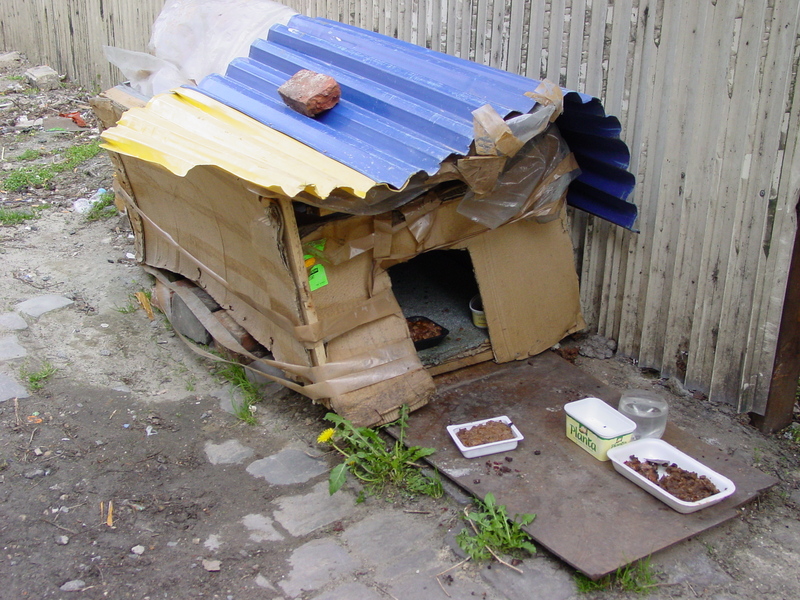 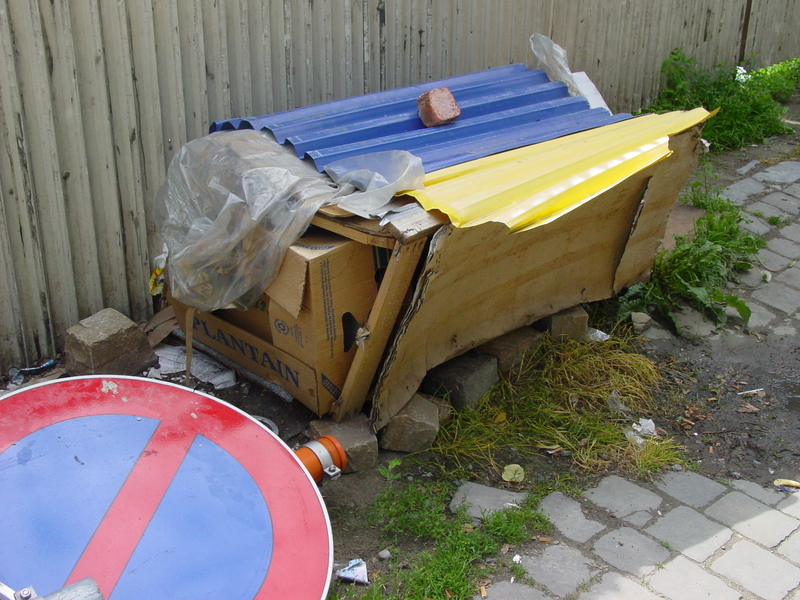 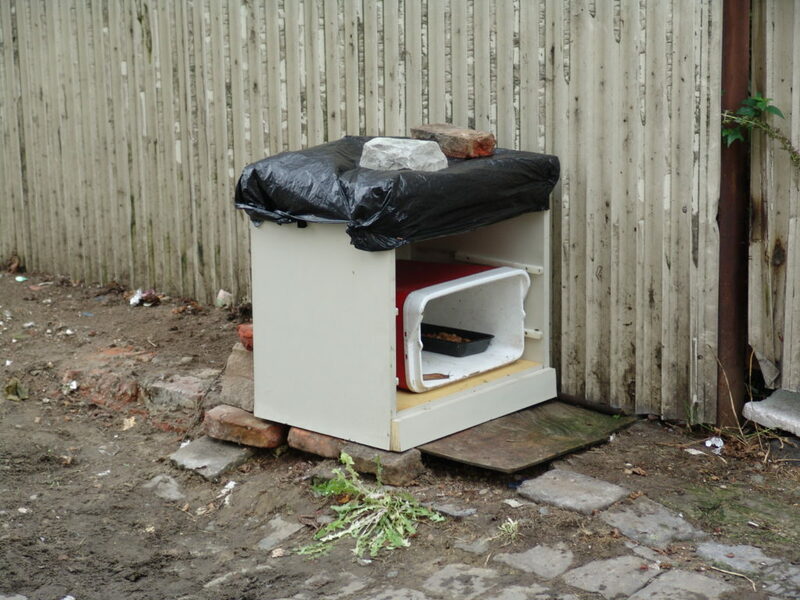 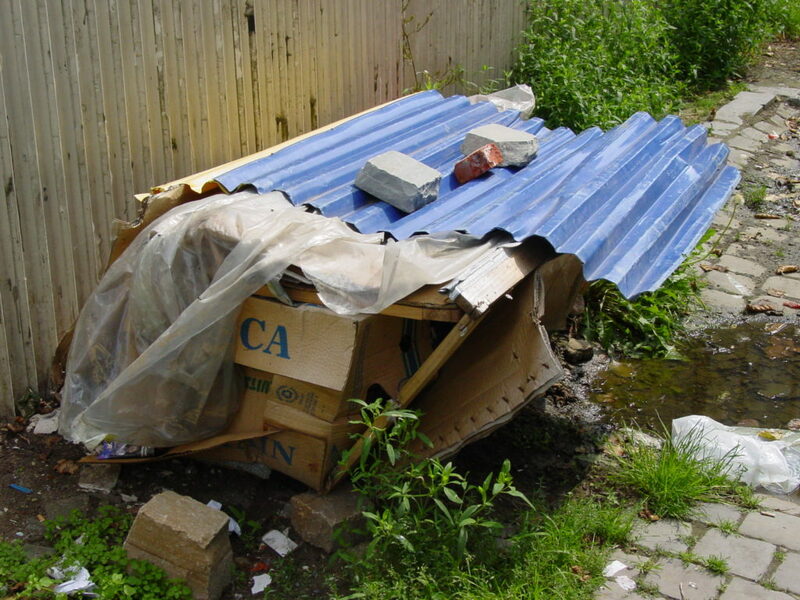 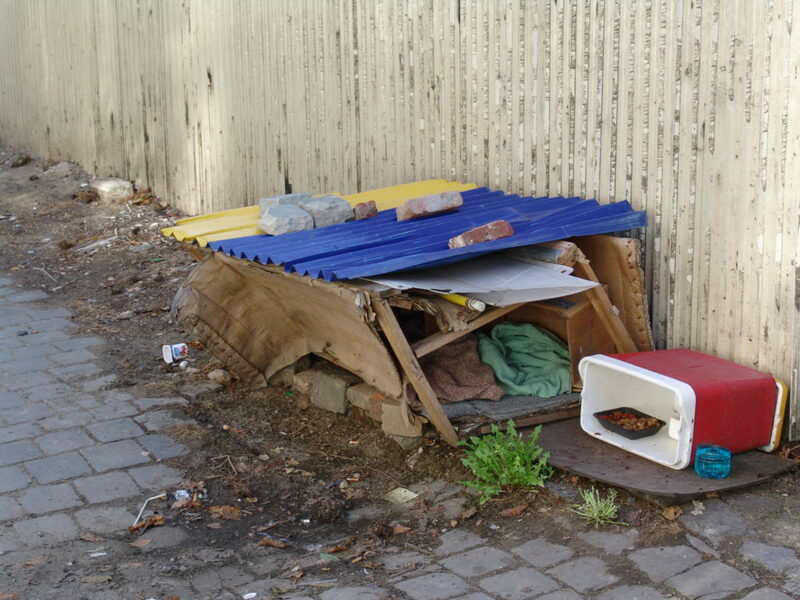 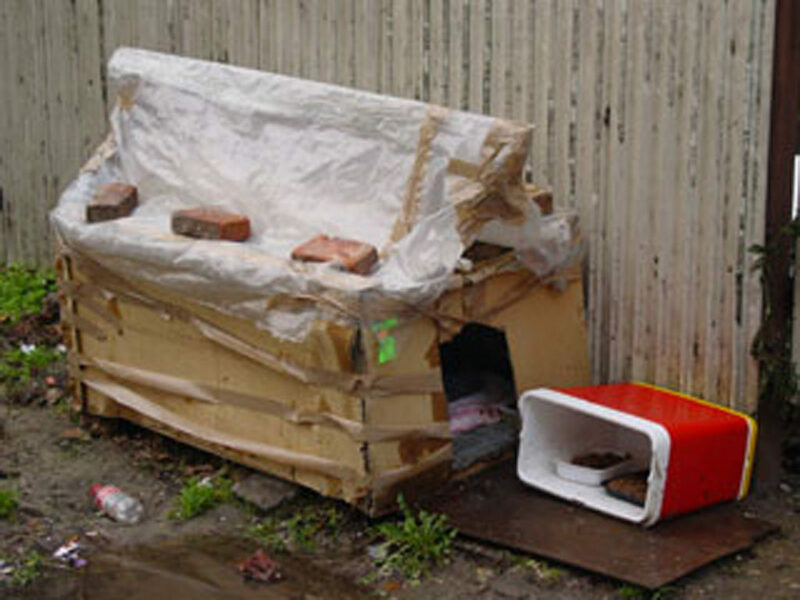 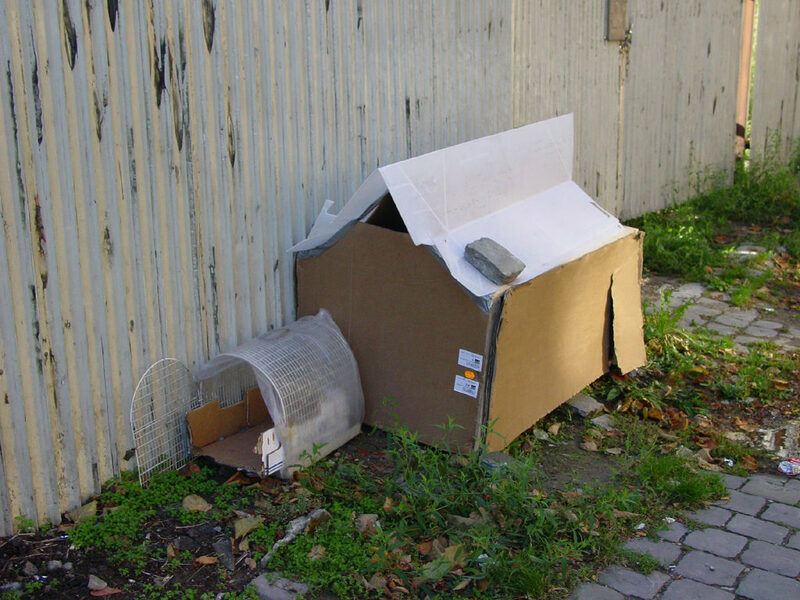 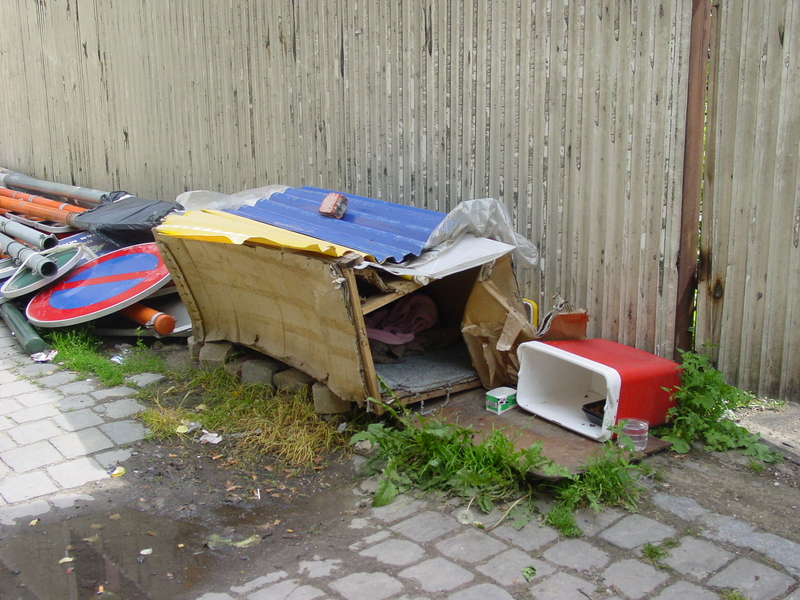 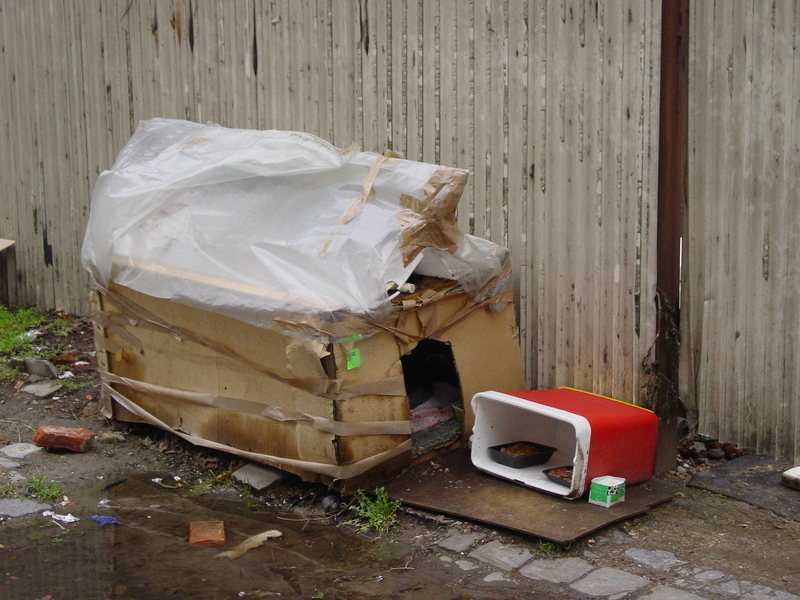 Found back the original photo’s of a cardboard shelter for street cats developing over time. 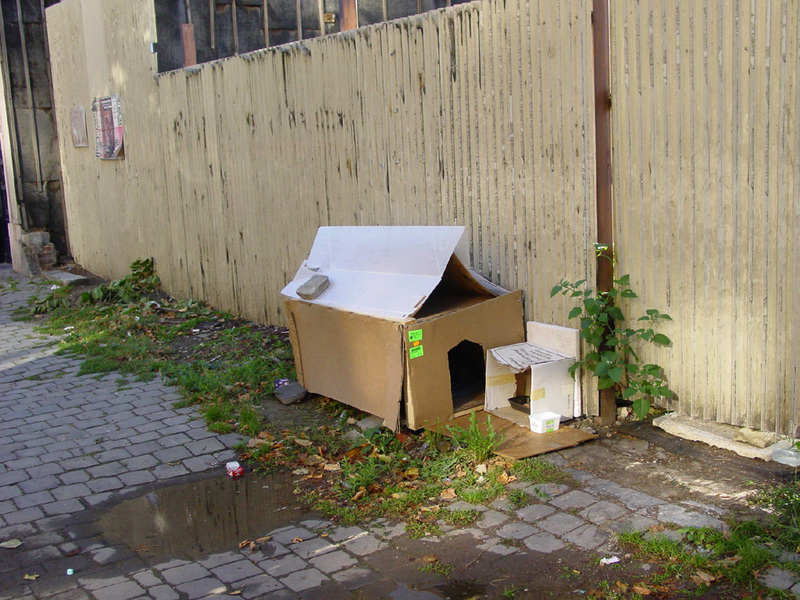 They were separately posted in the category Cat houses I post them here in their full resolution for the sake of my archive. 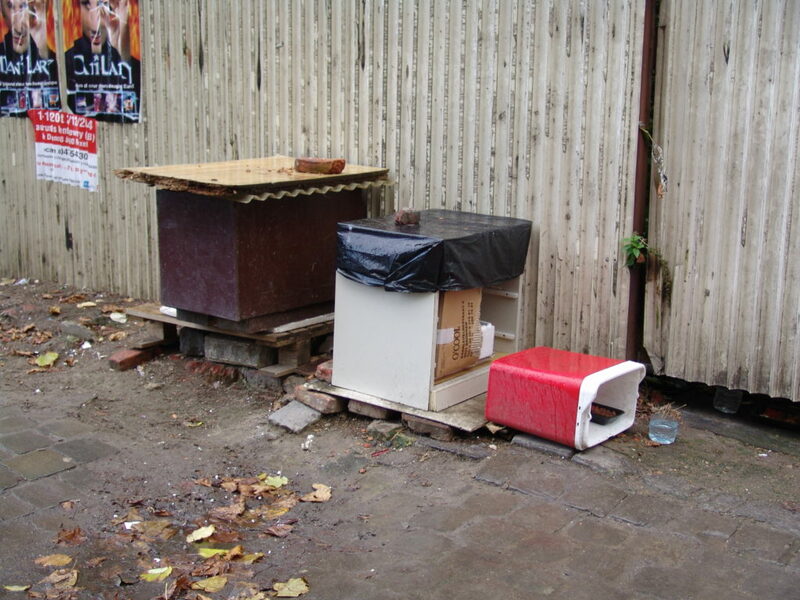 First picture is taken in 2003, the last one November 2004.